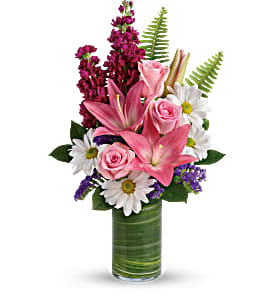 Say Happy Birthday with this stylish and modern arrangement featuring daisies and Asiatic lilies. 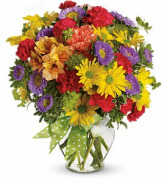 This colorful and large arrangement is sure to wow! 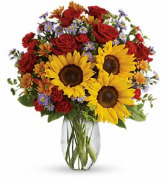 Beautiful arrangement featuring roses, mini sunflowers, and daisies. 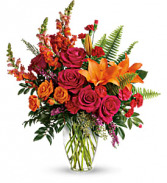 This full and colorful arrangement is the perfect piece for any occasion!